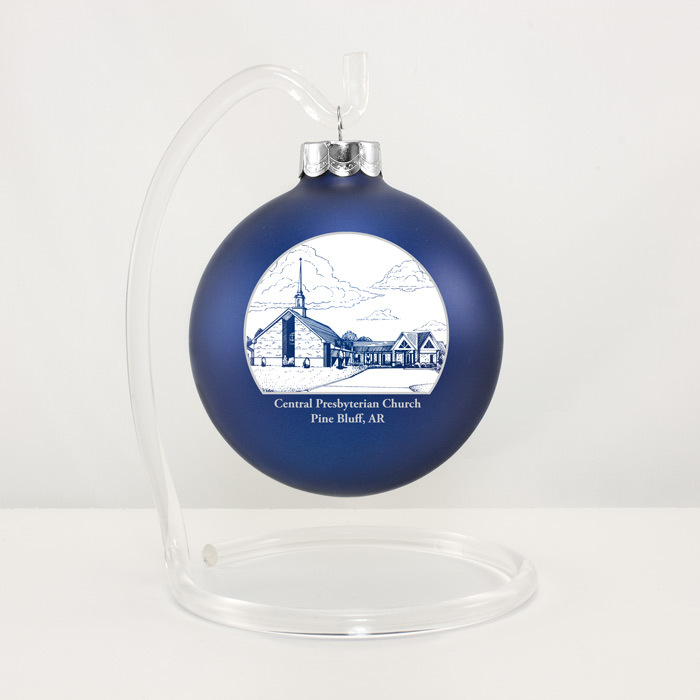 We are selling an ornament to commemorate Central’s Centennial Celebration. The Ornament has a sketch of the church with the caption “Central Presbyterian Church Pine Bluff, AR”. If you wish to purchase this ornament, you can contact Kay Cromwell or Patsy Glover. The ornament is $8 and the stand in the image below is $3.